Please see the following excerpt written by the sister of Bertie Canepa Reifsteck. This newsletter was beautifully written by Jane Canepa as part of her monthly newsletter entitled "The Eventors". To subscribe to Jane's newsletter, click here. Hello and Welcome to the seventh edition of Jane Network News. This month we celebrate music and we have some exciting news and updates for you. Enjoy this edition and happy reading! 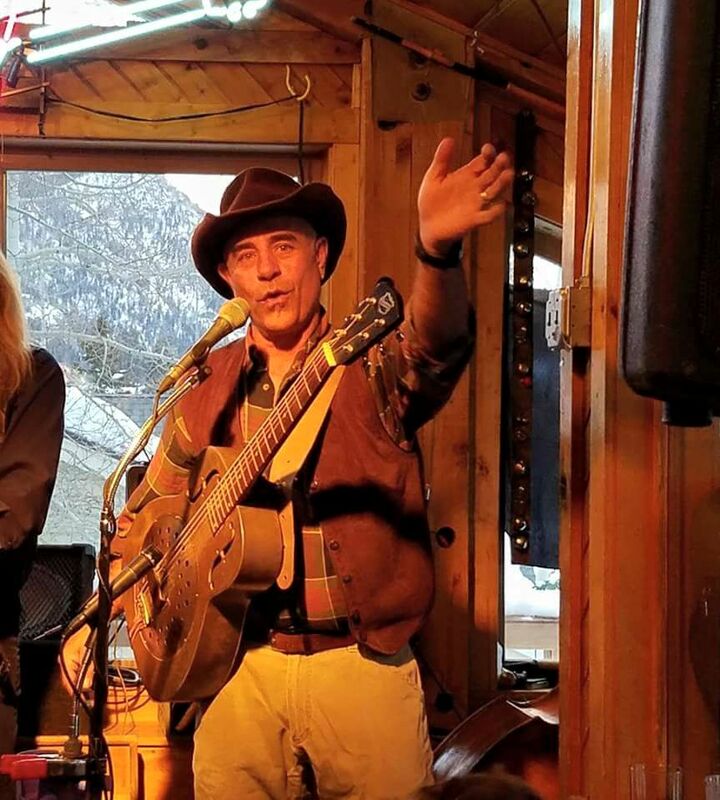 Making Music, Memories & Money is "Easier Said Than Done"
Growing up in the mid-fifties and sixties in our household in Baraboo, Wisconsin we always had music. Our parents owned a hi-fi and it was used often to play 33 RPM albums featuring such notables as Frank Sinatra, Jerry Vale, Tony Bennett, Jane Morgan and Connie Francis. Our father, Tony, worked for the Goodyear Tire & Rubber Company and as a Christmas gift to customers and dealers they gave away Holiday albums that featured some of the recording stars of the day singing holiday tunes. Our music collections consisted of ballet music, accordion & ukulele and most anything Italian. During our teen years the 45 RPM became popular and EVERYONE had 45’s except US! For some reason our parents thought we had enough music with the dance school and spending $1.00 on a 45 RPM record was a waste of money. A concept that my siblings and I only grew to appreciate as we got older. One year for my birthday a good friend gave me my first 45! “Easier Said Than Done” by The Essex was a beautiful black record and a bright purple label. I had arrived and could not wait to share the news with my peers. As luck would have it, the song became a hit and also was a popular tune to use at the dance school. Away went my 45 and all year long we learned and performed a jazz dance to the music. I remember being sad about my collection of records ending before it started! But at least I got to hear the music. My mother Alberta loved music. She grew up in a dance school environment and her appreciation for music was instilled in all of us. One day she found a record at Woolworths for 29 Cents and it changed our lives! “Early Bird” was a classic children’s song that featured singing and a tap dancing by-product whistling! 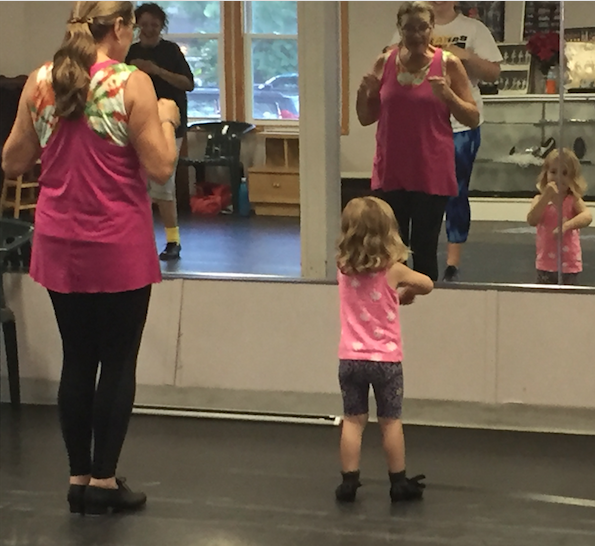 The lyrics were embraced by all of us and any little one taking dancing at Canepa School of Dance learned the song and with it they could tap dance and learn to whistle. Today we still use “Early Bird” in our shows and our teaching. All of our children and my parents’ Alberta & Tony’s great grandchildren learn the song as a rite of passage. My granddaughter, Hannah (center) visited Bertie’s dance school and here at age 3 she is performing Early Bird. Carrying on the dance tradition is my talented and wonderful sister Bertie. Born with ballet, tap and jazz talent she is by far THE Dancing Canepa. Bertie Canepa Reifsteck has taught dancing all of her life. 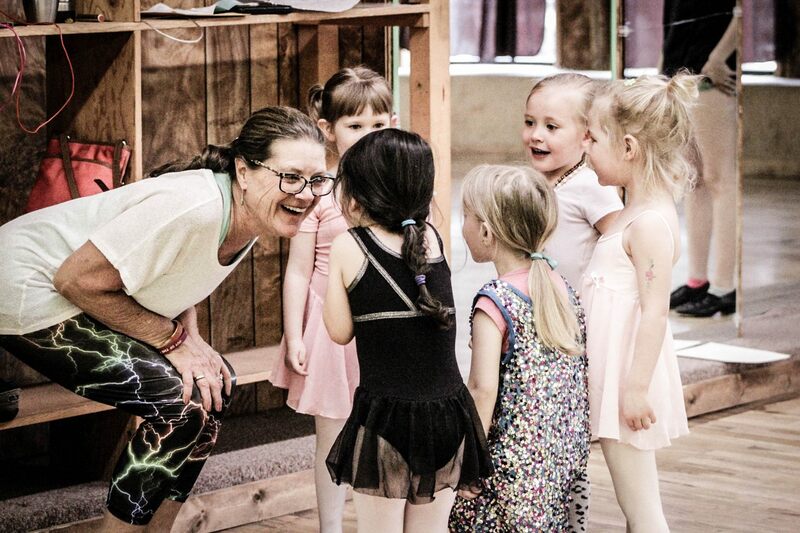 Growing up as our mother’s main assistant, she would choreograph routines, teach all of us our family dances and bring new and innovative music to the dance recitals and performances. As life would be for Bertie, she met her match in the music world when Dennis Reifsteck smiled and played his way into her heart. Dennis grew up on a farm outside of Wisconsin Dells and was part of a family band that played weekends for weddings, gatherings and performed at Camp Wawbeek, the Easter Seals of Wisconsin Camp. His dad, Paul, played guitar, brothers Dave and Doug played the drums and guitar, and sisters Chris and Karen the piano and organ and everyone in the family could sing. Their mother, Orpha, a high school accounting teacher managed the bookings and finances. In high school, Dennis saw a string bass in the music room. He decided to learn how to play it. Along with that instrument he sings, plays the guitar, trumpet, violin and the saw! In his teens he formed a musical duo called “The Swing Crew” with a high school friend, Dan Soma. The musicians worked as guides for the Wisconsin Dells Boat Tours and during their breaks and between swing shifts, they played music to pass the time and to entertain the tourists. The Swing Crew continues today under Dennis’ leadership and with assorted band members playing guitar and drums. His son, David Reifsteck is also musical, he joins in playing the violin on occasion and the ukulele. To view the newsletter in full, please click here.